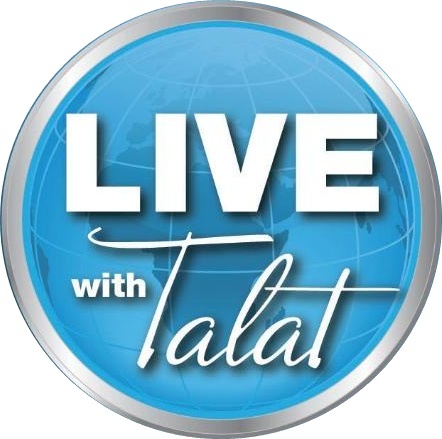 Express News has announced that their news channel is decided to on-air Talat Hussain's current affairs Tv talk show "Live with Talat" from 10th of September, 2012. The schedule of this TV program is that the channel will on-air the live transmission at 8:05 PM from Monday to Thursday on Express News. Talat Hussain was executive director of AAJ TV, He has written for several news papers. 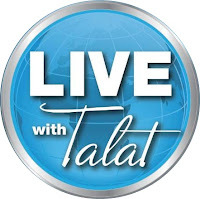 Large number of TV viewers in Pakistan want to watch his live TV Program. Keep reading this news article for program details. Earlier Talat Hussain hosted its current affairs talk shows on Ajj Tv and Dawn News. 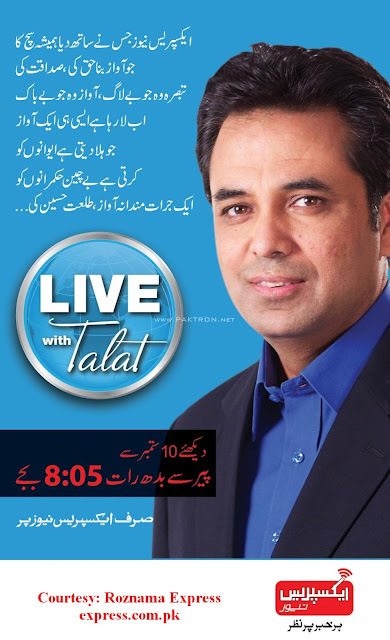 Now, from 10 Sep and onward he will host Live With Talat on express news.